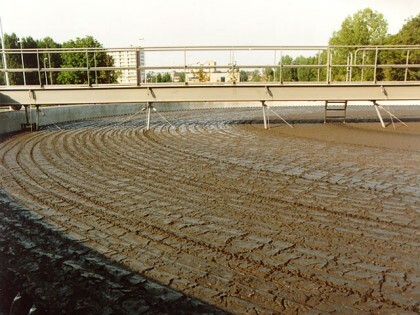 Flotation of sludge in the aeration tank and/or the final clarifier will result in the formation of a scum layer on the surface of the tank. 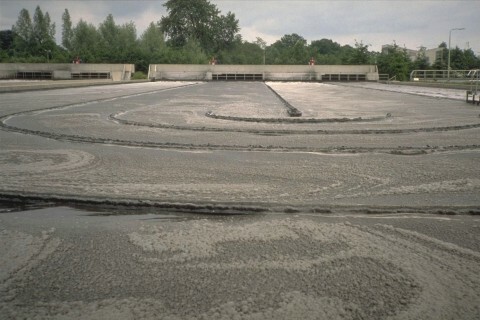 In extreme cases, this scum layer can be 50-100 cms thick and the solids concentration can increase to about 50 g/l. 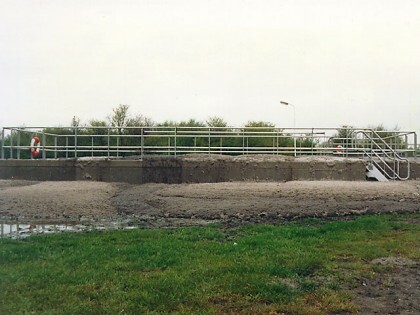 Scum usually arise through small, stabilised gas bubbles attaching to the sludge flocs. 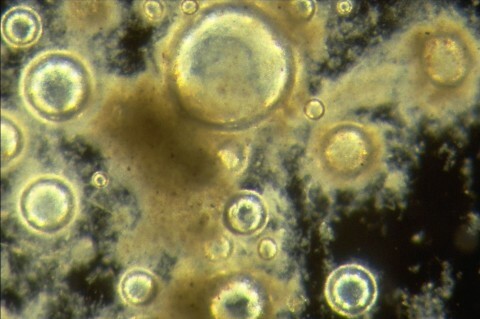 The bubbles can be filled with air, or also with nitrogen gas that arises through denitrification processes. 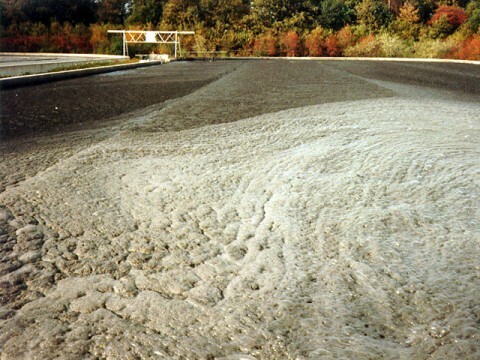 Formation of a persistent scum layer in domestic treatment plants is nearly always caused by certain Gram positive, filamentous bacteria such as Microthrix parvicella and Nocardioforms species. 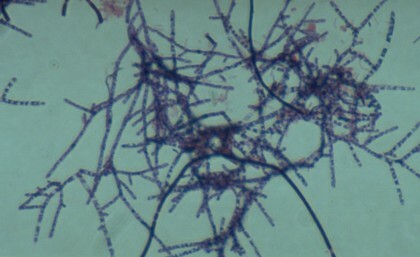 Together with detergents (always present in domestic waste water) these filamentous bacteria are responsible for the extreme stabilisation of the interface around the gas bubbles. Controlling the filamentous bacteria responsible is the only adequate solution for this problem.